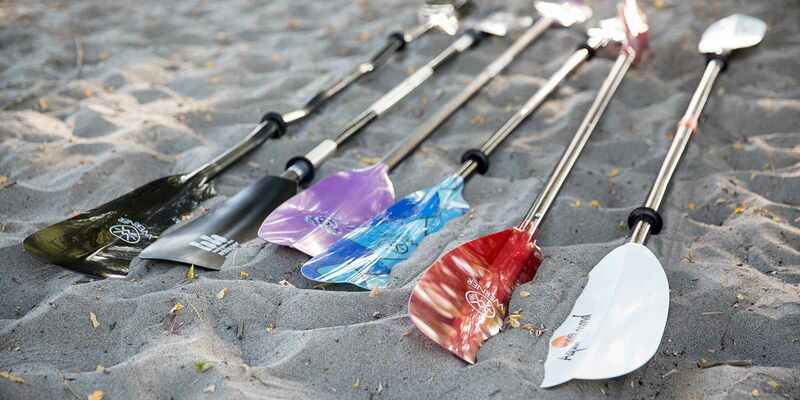 The kayak paddles can be made from multiple materials as we usually see and the manufacturer has an ultimate goal to make the shaft strong by molding it from multiple materials. The most popular materials on the kayak paddles are wood, fiberglass, aluminum and carbon fiber. Although, every individual material has the different efficiency to make the paddle strong, but every material can’t lightify the weight. Whether we need the paddle for our fishing kayak or touring kayak, we would require hundred to thousand strokes in every time we go on the water with our kayak. Basically, no one of us expects that the weight of the paddle hurts our shoulders and joints. If the weight of the paddle becomes the reason of hurting our joints, it would mean we are going to lose the energy of paddling and in the next time we are not going to be able to stroke the paddle in the water as many times as we expected. So you would have to go back to the home with the full of frustration and reasonably you would miss the memorable moments of water excursion in the summer. Basically, a carbon fiber paddle is incredibly lighter that aims to save your energy at every time you stroke it in the water. You would be able to achieve a double paddling time without wasting your energy and your goal to achieve all the advantages of kayaking would be quite easier. You would feel like you are not struggling to push forward your kayak, you are just highly enjoying it with your carbon fiber paddle. To be honest, I am also the biggest fan of carbon fiber paddle and that’s why it’s my pleasure to aid you to find the right carbon fiber paddle you need. 1 Are The Carbon Fiber Paddles Different Than Others? 2 Is The Carbon Fiber Paddle Expensive? Are The Carbon Fiber Paddles Different Than Others? The carbon fiber material makes it different from other materials by weight and sturdiness. Because, if you compare it with the weight and stiffness of aluminum, no doubt it would be stronger than aluminum and half in weight. So compared to the weight and stiffness of aluminum the carbon fiber is a winner. On the other hand, if you compare the carbon fiber with fiberglass, undoubtedly it claims to be stiffer and lighter than fiberglass. Although the fiberglass shaft flexes, but the carbon fiber can’t bend like the fiberglass. So, during paddling it would be able to make the powerful force, but, you shouldn’t hit the carbon fiber paddle over the solid and tough structure as the carbon fiber is slightly brittle. Is The Carbon Fiber Paddle Expensive? To be honest, the carbon fiber paddles are something pricey because of the expensive manufacturing cost. But, its performance would win the value of the money. Because, there you wouldn’t feel any frustrated result of every stroke while it would encourage you for more paddling and extending your water excursion or fishing time. On the other hand, the lightweight carbon fiber paddle can make a difference in the comfortability of kayaking what an ordinary kayak paddle can’t. So, costing twice for your favorite lightweight carbon fiber paddle might be a pleasure for you. The shape of the blade defines how much power it can generate to push forward your kayak. Because, the force of gliding your kayak over the water comes from the force created by the blades. Basically, the shape of the blade would be high-angled and low-angled and every different shape of the blade is designed to achieve a different a goal considering the type of the water. The shape of the blade in the term of kayak paddle can be defined by winged, dihedral, asymmetric, asymmetric dihedral, square end and spooned. But, considering the performance, the most conventional models preferred by the kayakers are dihedral and asymmetric dihedral. The experts even designed the asymmetric dihedral blades in high angle and low angle. Surprisingly, both are the most popular design ever created for kayakers. The high angled paddles are the most perfect design ever created to kayak in the calm water. It can hold you on the kayaking without wasting your energy. Basically, in the calm water the kayak wouldn’t as struggle to run as it does in the rough water. So, the high angled and longer blade can hold a user hours after hours to paddle in the calm water with incredible speed. On the other hand, to paddle in the rough water, the high angled and narrower blade wouldn’t be able to generate the force as powerfully as the low-angled and wider blade does. Although, the length of the low-angled and wider blade would be shorter than a high angled blade. But because of the wider size it is able to grab more water and aid your kayak to run in the rough water with speed. The length of the shaft would differ the performance in two ways. Because, a longer paddle in the hands of a shorter person and a shorter paddle to run a wider kayak, both are problematic. Basically, the wider hull means the area of contact with the water’s surface is bigger than the contact created by a slim hull kayak. So, a shorter paddle wouldn’t be as efficient to run a wider hull kayak as it is comfortable to run a slim hull kayak. On the other, a tall guy would feel discomfortable with a shorter handle while a shorter guy might not want to run his kayak by a longer paddle. So, it would be perfect if you consider these two factors to paddle the kayak comfortably. We took the help from REI that would help you to find the right paddle size considering the width of your boat and the height of your body. The carbon fiber may build up a strong and lighter shaft to speed up your kayak and remove the fatigue of paddling. But, if the material of the blade isn’t expectedly perfect, then you would lose the total value of the carbon fiber shaft. Just imagine, the shaft is stronger and lighter, but the blade is weak and heavier. So, it would be like the head is more weighed than the body with the full of weakness. That’s why, we would want the best material in the blade with a carbon fiber shaft. Basically, the reinforced plastic (a blend of plastic and polypropylene), fiberglass and carbon fiber are the popular materials can be used to build up the blades. But, we wouldn’t like the plastic in the blades, because it can be cracked while its weight would increase the overall weight of the paddle. Relatively, the carbon fiber and fiberglass are lighter than plastic and more stiffened to adapt the abuses. If you want the lightweight kayak paddle with excellent stiffness, the carbon fiber kayak paddles are best and we discovered the best carbon fiber paddles for you. Handling a kayak in the moving water can be much difficult unless you have the right equipment to create force. When a kayak builds up a contact with the moving water, forcing it to run with the expected speed against the moving water can be tough. If you don’t get the right paddle at this moment, your hands would be fatigued and the joints would be pained. So, you need such a paddle that has much power to deal with the rough movement of the water. The Aquabound Manta Ray is such a paddle that has the stiffened carbon fiber shaft and carbon abX resin blades to deal with challenging moments. The carbon abX resin blades are stronger than glass reinforced blades while the wider blade efficiently deals with the water. This two piece paddle connects to each other by the Posi-Lok system and you can easily change out the angle. To strongly grab over the shaft it has also the comfort grips to hold the paddle and the drip guard would help the water to fall off elsewhere out of your kayak with keeping your hands dry. Carbon fiber shaft and blades with the stiffness and lighter weight for the challenging kayaking time. Grip for comfortability and easily hit into the water. The posi-Lok system locks it strongly in the center and helps to easily change the angle. Easily deals with the rough water. If you like the water excursion with a kayak or want to tour in the massive lake hours after hours, this high angled asymmetric dihedral shaped blade kayak paddle is a great creation for the paddlers. It can speed up your kayak through the rough water and reduce the torque while it transmits less pressure over your shoulders. So, you can even enjoy the aggressive paddling with the comfortability. Basically, its tricky blade shape isn’t only the secret of comfortable paddling power, but also the carbon molded nylon blades and the reinforced carbon fiber shaft built it up as a lighter paddle. The carbon molded nylon means more stiffened, abrasion and impact resistant construction while the carbon fiber in the shaft can make it as a high performance paddle. This environment friendly paddle is made from recycled materials and it would appear with a smart view to be noticeable to other paddlers. The whole paddle weighs only 886 grams that would be remarkable to continue paddling without hurting the joints. Every paddler probably would enjoy its paddling power for hours of kayaking. Reinforced construction of carbon fiber built it up as a high performance and stiff paddle. It reduces the torque and makes the water flow even as if the flows created by the paddle don’t negatively impact the speed of your kayak. Environment friendly and weighs only 886 grams. Drip guard to not to disturb the paddlers by the dripped water. This is probably the most expensive model of our recommended top five carbon fiber paddles. Actually, this is a high performance kayak paddle that efficiently adapts the naturality of the rough water and calm water. The paddle is the combination of lightweight and stiff material that does mean the stroke is simple, but the force is greater. The Werner launched it in 14 different designs with the aim to conquer any different condition of the water. But, its performance could be greater than its design as it literally aims to provide stable forward paddling. If you are an experienced paddler, you may know how powerfully the low angled, wider and asymmetric dihedral blade works in the rough water. The Werner Camano 2 has been actually built up with following all the philosophies of the low angled and asymmetrical dihedral blade. 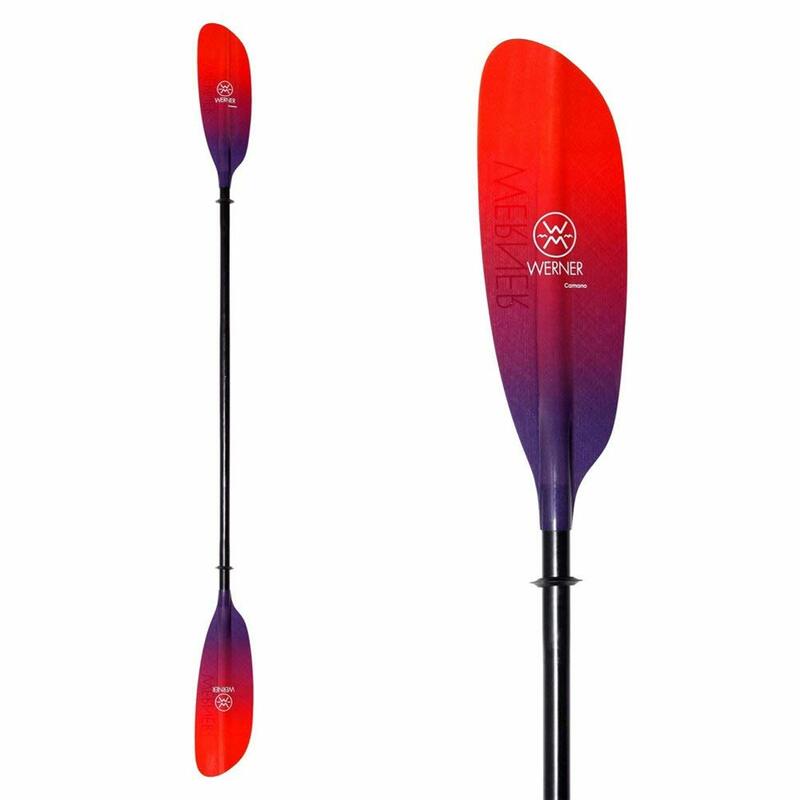 The fiberglass blade of the Werner Camano 2 ensures that you can paddle aggressively in any condition and it is not going to be beaten by your dominative abuses. On the other hand, the carbon fiber in the shaft means better efficiency and paddling power in any condition. 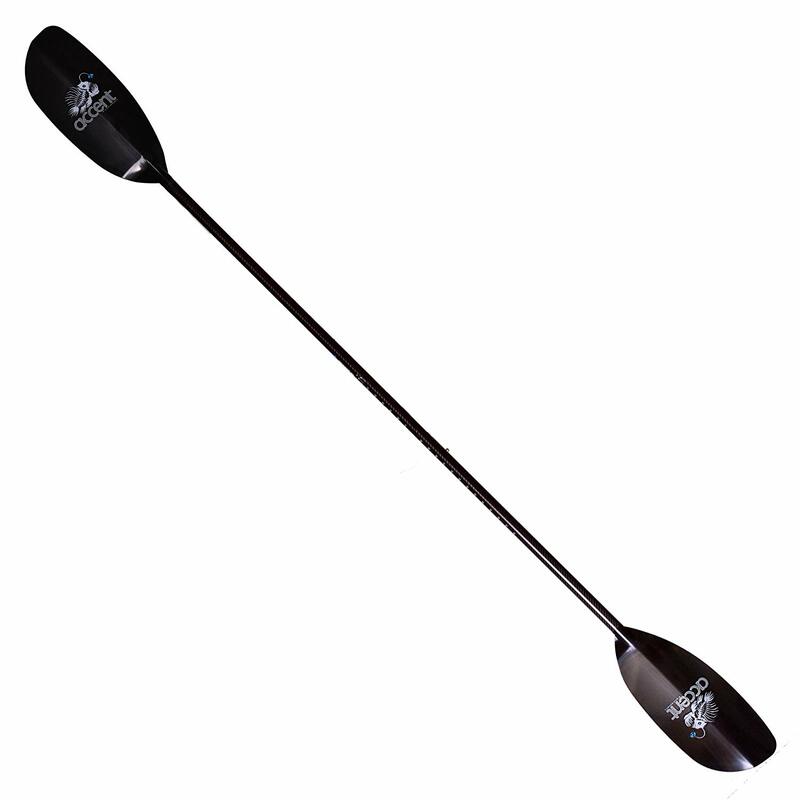 The manufacturer specially focused on the design of the blade for a stable forward paddling on any condition. 14 different models of the paddle aim to provide you the one that you ever wanted to discover. It would keep you comfortable even when you want to paddle aggressively. 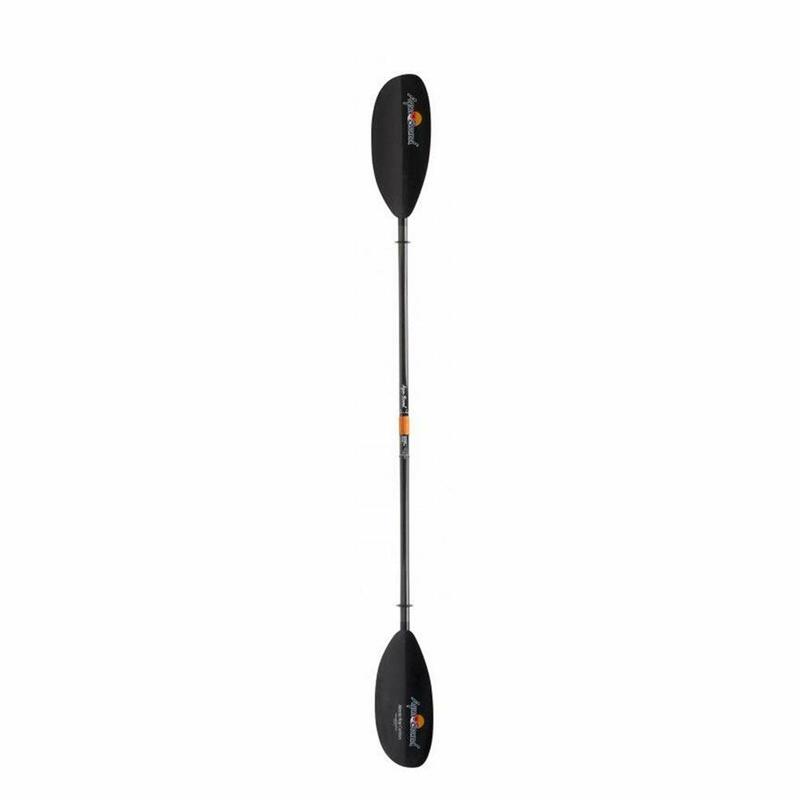 If you want to create the most powerful strokes during kayaking even when the rough water forces your vessel to slow down, the Accent Ultimate Angler Paddle would work there. Because, the fully widened asymmetrical dihedral blade ensures a very stable forward paddling what needs to run the kayak in the different circumstances. With the fully widened blade the carbon twill shape contributes on extending the power. Because, it strengthens the paddle’s structures to make every stroke in the water energetic. On the other hand, the carbon reinforced nylon blades ensure it has the optimal ability to survive under any abuse. This paddle also provides the dependability that there is no fear at all to be experienced with a cracked and faded paddle after the months of use. When you need to grab the paddle, you would have the optimal power in your hand to maintain it. Because, the oversized grips build up a stronger contact with the palm of your hands and the two piece shafts lock to each other very efficiently. Because, the point where it locks includes the hirth coupling and king pin to protect the shaft from being wobbled. Full sized asymmetric dihedral blades for the optimal performance in the moving water. Incredible locking system with kingpin and hirth coupling. Carbon reinforced blades to survive under abuse. Carbon twill shaft for the optimum stiffness. The Bending Branches Angler Pro 2 has been basically designed for the anglers who frequently fish on the coastal water or ocean with a kayak. 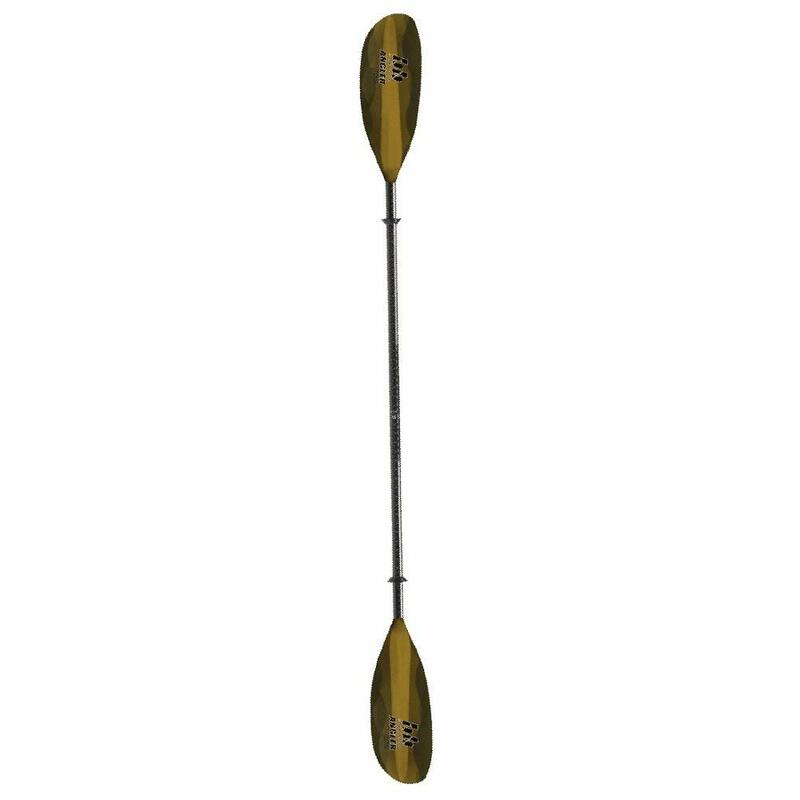 It is also full sized asymmetric dihedral paddle that simplifies the effort of paddling where the water flow looks aggressive. So, if you are the fan of adventures kayaking or much like the fishing in the rigorous condition, the Angler Pro 2 is the great one to conquer the adventuring time with your kayak. The multi-laminate fiberglass blade is incredibly stiff to easily adapt the challenging kayaking moments. Its strengthened blades and shaft wouldn’t fail to generate the force for stable and speedy paddling. To achieve better power, the shaft is built from T-700 carbon fiber that is remarkably stiffer and lighter. This two piece paddle includes the measurement scale in the shaft, that means you can quickly measure the catch. On the other hand, the two piece shaft can be very user and travel friendly and it won’t only help to change the angle, but also you can store it without conflicting with the full sized shaft. T-700 carbon fiber shaft to easily stroke in the most challenging kayaking time. Multi laminate fiberglass (full sized) blades to generate the power for stable paddling. Measurement scale to easily measure the catches. Travel friendly and two piece design for a simple and perfect storage.